This Thursday 2018's exciting crop of rookies will find out whether they'll be wearing Eagles, Giants or Bluebelles colours for their first Australian Football season. The inclusion of the Bluebelles will also add a new dimension as the new club makes expansion selections in the draft. 10 weeks of winter training and two Angel's matches versus New York and Ottawa have given the talent scouts all the data they need to make their crucial draft table selections for what just might be the missing piece to their championship puzzle. The AFL Quebec Draft & Registration night kicks off Thursday at Pub Epoxy from 7:30pm. Players are encouraged to pay their registration fees on the night to secure the huge 'early bird' discounts. What Footy means to me, a former and new member of the Angels! Aussie Rules is defined by the Merriam-Webster dictionary as a game resembling rugby that is played between two teams of 18 players on a field 180-190 yards long that has four goalposts at each end. This definition is very general and is missing a lot of pieces and aspects to the game. Such as the leather ball is formed as an egg shape and, is smaller than a rugby ball, bigger than an american football. Or how we need to kick the ball through the two centre goalposts to earn six points. However, no matter how great a dictionary or other resource may describe the sport, there are many feelings that cannot be written down. Such as team conmadery, pride, health & fitness, and friendships that will last a lifetime. These are the things that I've missed the most on my year off from Footy. No one can best describe these feelings unless you've lived through these experiences. I was fortunate enough to take part in the IC14 as a player for the Canadian team. I will always cherish the moment I put on a Canadian jersey and played alongside the best and fittest team mates a girl of 21 could have asked for. Being the youngest player on the team, I was able to experience what some people may only dream of. All this being said Australian Football has taught me respect, discipline and, selflessness that I have brought into my everyday life. I was talking with a former Angel recently about how much I missed footy and the girls I've played with. I was too caught up with school and work and everyday life that football was not my first priority anymore. After this discussion I decided to commit myself to the sport again and this has been the best decision I have made in a long time. 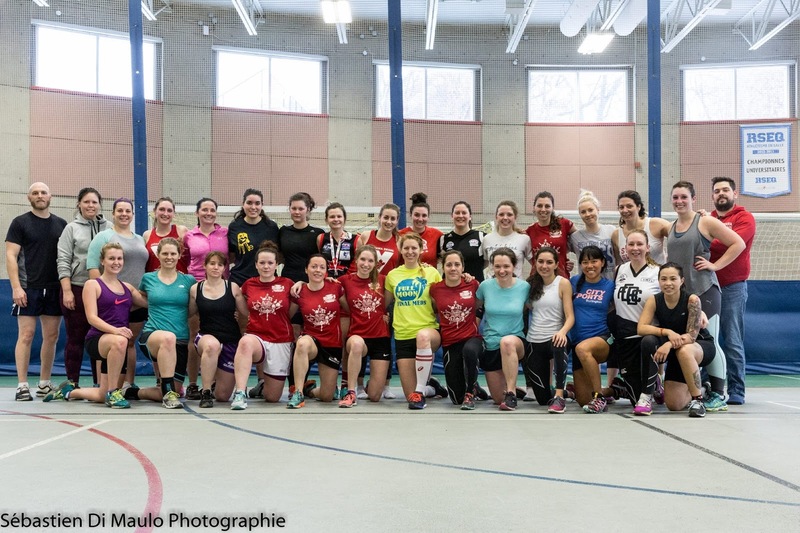 I attended the Atlantic Division Training Camp last Saturday, and was taken aback by all the new faces and amazing athletes that were at that camp. It is inspiring and motivating to participate with such great women. The girls on the Atlantic team are strong and a force to be recon with. Cannot wait to play alongside these exceptional girls at Canadian Nationals in Vancouver. This is what the sport is all about.